Loop Size - Works on any in-ground inductive loop from 20 to 1000 mH. Fail Safe or Fail Secure Operation - Can be easily changed to either mode in the field. Indicators - Separate Power/Fail and Detect LEDs. Sensitivity - Ten sensitivity settings. Frequency - Automatically tunes within one of four operating ranges. Output A - Main detection output which can be modified by delay and extension. Fail safe or fail secure operation changeable by PCB jumper. NOTE: Units are shipped in the Fail Safe mode. Sensitivity Boost - Can be used in special applications to insure complete detection of high-bed vehicles. 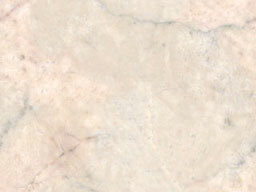 Hold Time - Normal or extended hold time is selectable. loop failure is also provided. Delay - Can be selected to ignore fast moving vehicles over the loop. Extension - Extends a call for slow moving vehicles. 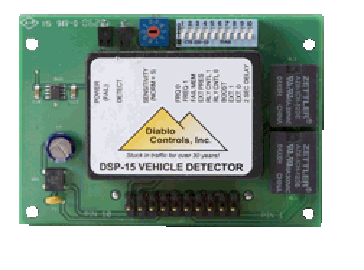 The DSP-15 vehicle detector is a PCB version of the DSP-10. all parking, drive-through and access control applications. to the best operating frequency within the selected range. algorithms allow it to work reliably in any electrical situation. parking detector you will ever need.